Tofino, located on the west coast of Vancouver Island, is by far one of the most majestic places in all of British Columbia. Tourists from all over the world frequent Tofino by the flocks during the summer season. It’s many attractions include surfing, camping, beautiful nature, fishing and whale watching. Thousands of grey whales migrate to the area annually in March which is celebrated by what is known as the Pacific Rim Whale Festival. If you are currently seeking to purchase a home in the Tofino, BC area and are looking for the best Tofino mortgage rates ResCom is more than happy to assist you. Whether you’re buying your first home, looking for a second home or need to take out equity on an existing property give us a call at 855-585-2080 and experience the difference! 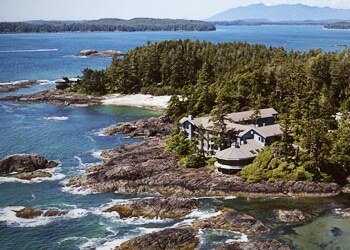 We’re also actively seeking mortgage agents in the Tofino area to join our mortgage company. Check out our mortgage careers section to learn more. If you’re interested in joining an enthusiastic, rewarding and growing team, we’d love to hear from you!